Building on a series of posts that originally appeared, in earlier forms, at the blog for Culture on the Edge—in which each member of the group focused on the problem of origins, examining how we repeatedly conjure up an authorized past that suits the needs of the continually changing present—Fabricating Origins presses these short studies further by inviting ten early career scholars to each work with Culture on the Edge by applying, extending, even critiquing the group, to further illustrate for readers how talk of origins in the present is so much more interesting that being preoccupied with long past origins themselves. The volume, like all books in the Working with Culture on the Edge series, is introduced and concluded by original, theoretically challenging but engaging essays, and provides a selection of ten main articles, all of which draw on a variety of examples to make the case, followed by original commentaries on each, all of which are pithy but substantive. 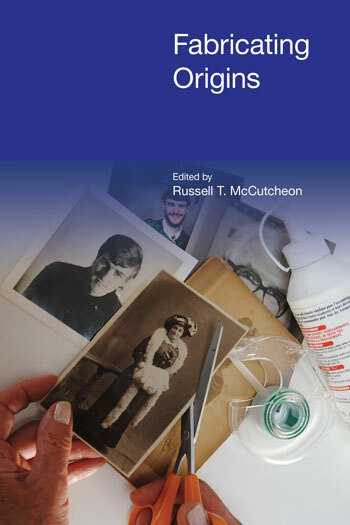 Although not a textbook, and while challenging for any reader unaccustomed to making the switch from origins to the discourse on origins, Fabricating Origins is especially aimed at the early career reader. The volume therefore includes an annotated set of suggested readings on how to rethink origins as the product of contemporary and always tactically useful talk and action. An introduction to the book and the thoughts and ideas that lead to it being written. Of the myriad ways in which identities are constructed, telling the origin of something often acts as a natural authorizing statement. We can be sure that both individually and socially we construct stories about ourselves and our society by tethering various meanings and values to the objects with which we surround ourselves. Individuals and groups resort to telling origins stories to secure a certain position—whether that is to gain a status of worthiness in relation to a friend and among family members or as groups in relation to other groups—when either the maintenance of the status is fragile or, threatened by another challenger (real or imagined). In the past few years, the U.S. Supreme Court has taken on a number of high-profile cases, the justices have embraced cases that have high-stakes implications for American law. Though dealing with different issues, each case relied upon appeals to the historical origins of the Constitution—in theory, the supreme law of the land in the United States—in order to determine what rulings should be made in the present. George Washington’s Sacred Fire (2006)—in which Peter A. Lilback argues that “founding father” George Washington was a Christian and not a deist—garnered a great deal of media attention when first published. Craig Martin discusses this book and uses it to consider different points of view. 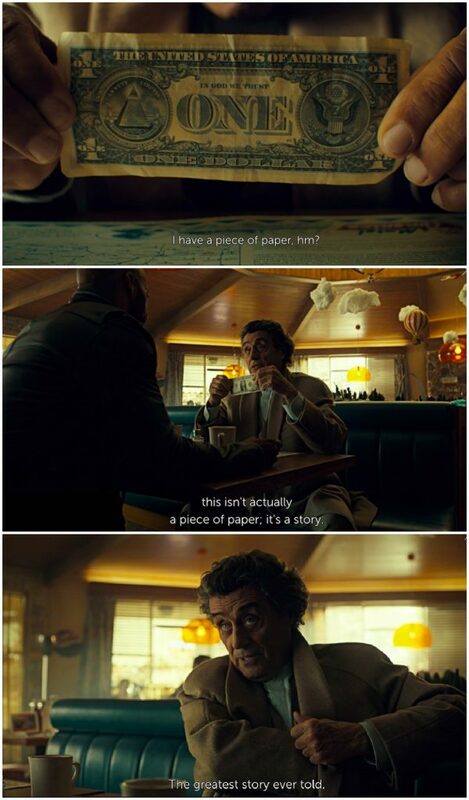 Karen de Vries proposes that we think of what Martin calls “individual readers’ sympathies” as a relationship between the origin story and the reception of that story as authoritative. Readers inclined to be persuaded by a particular version of a story are those who trust that a story (and its fabricator) conveys something they might call “the truth” or statements about the world that they consider reliable. Individuals sympathize with those they trust, and those one trusts are typically those perceived as protecting or advancing one’s interests in the game of life. Monica Miller considers the wording of an advert for coffee, seen while waiting in line for an americano, and asks How do you study origin narratives? Asked differently, where and when do your coffee beans grow? 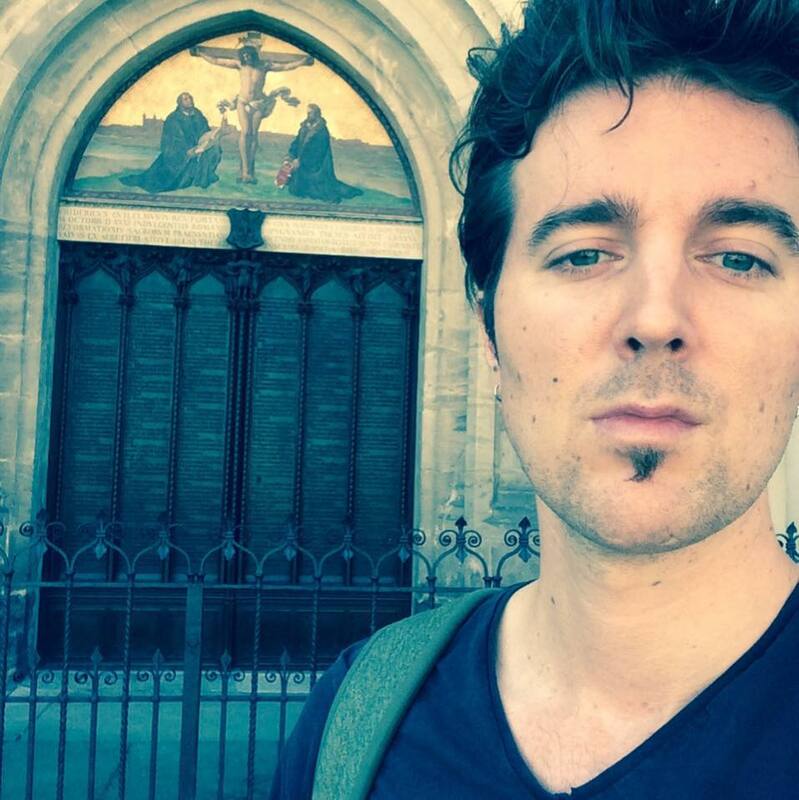 Steffen Führding teaches at the Department for the Study of Religion at Leibniz University Hannover. He has published on the history of the study of religion and theoretical debates within the discipline, including Jenseits von Religion (transcript, 2015). Steffen Führding considers ‘What is Europe?’ after the headline of a newspaper article drew his attention – bold and in black letters you could read, that Angela Merkel, German chancellor then and now, was looking for Christian references in the constitutional treaty of the European Union. What and how we remember appear to say way more about the person or people remembering than they do about the supposed “thing itself” being remembered. Elonda’s research interests include bioscience, myth, and entertainment media; media portrayals of genetic ancestry and the genomic imaginary; Media, Religion, and Culture, Critical Approaches to Hip Hop and Religion, Africana religions and ecology, and U.S. African American religious thought. 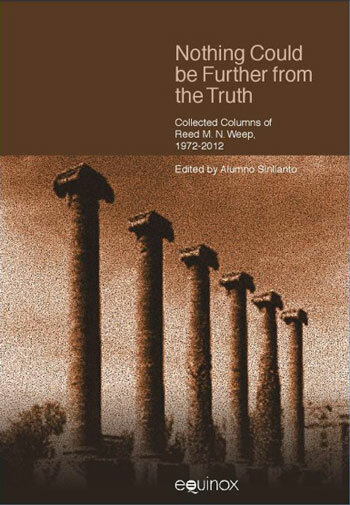 Clay holds graduate degrees from the University of Missouri-Columbia (M.A., Library and Information Science), the Interdenominational Theological Center (M.Div.) and LSTC (M.Th.). She received her undergraduate degree from Kansas State University (B.S., Physical Science) and is the recipient of numerous awards and scholarships, including the Federation of American Societies for Experimental Biology (FASEB) Minority Access to Research Careers (MARC) Award, the Fund for Theological Education Doctoral Fellowship, the Woman of Color Scholarship (UMC), and the Summer Leadership Institute at Harvard University. What ends up getting commemorated and what ends up fading from memory depends not on the key moments in an institution’s racial integration timeline, but rather on who is telling the story of how legal racial segregation ended and thus how they choose to reassemble the story’s details, where they filled in the gaps and with what. Steven Ramey considers the founding of India and Pakistan and the violence that has resulted from this, including attacks in Pakistan the day before Fathers Day in the USA. What (or better phrased how, who, and towards what ends) makes certain chimaeras more real than others and therefore worth pursuing. Nietzsche does not make the move to say that the “evil” leaders and teachers prevail by masking the “new” as the “old,” Tara Baldrick-Morrone pushes his playful manipulation of what we understand as “good” and “evil” into new territory. K. Merinda Simmons considers how nostalgia sells, and the truth of what we are actually remembering. James Dennis LoRusso is Associate Research Scholar for the Faith &Work Initiative in the Center for the Study of Religion at Princeton University. LoRusso is interested in Theories and Methods in the study of religion, the intersection of religion and business management thought and praxis, and the workplace as a site of production for the category of religion. He is the author of Spirituality, Corporate Culture, and American Business: The Neoliberal Ethic and The Spirit of Global Capital (Bloomsbury, 2017), which traces how “spiritual” discourses in business ihave contributed to the establishment and perpetuation of neoliberal capitalism. In his current role, he is co-researcher for a mixed-methods study of corporate chaplaincy in US companies and an ethnographic study of “spiritual labor” in secular and faith-based organizations. James Dennis LoRusso argues that the nostalgic views about “work” in Jerry Maguire are nothing new, but rather part of a much longer tradition of reimagining the meaning of “work” in American popular culture, evident particularly in Arthur Miller’s play, Death of a Salesman. I am the parent of three children, two of whom are elementary school-aged. As such, I have now twice been handed an line-drawn image of Christopher Columbus that they each have dutifully colored, which appears to be a requisite kindergarten activity at our local public school. Because of the historical evidence that details Columbus’s systematic torture and murder of the peoples whose lands he colonized, I have always found this exercise something akin to coloring a picture of Saddam Hussein or some other such figure. Martha Smith Roberts is Assistant Professor of Religion at Denison University. Her primary research is a critical analysis of post-racial and post-ethnic theories of American religious pluralism. Roberts is also working on a co-authored manuscript with Jenna Gray-Hildenbrand, which analyzes the various spiritualities emerging within the hula hooping subculture. She sits on the Executive Committee for the North American Association for the Study of Religion, and she also serves on the Board of Directors for the Institute for Diversity and Civic Life in Austin, Texas. Smith’s discussion about, colouring Columbus, asks us to examine the representations of American history and identity that are presented as natural and neutral, especially those that we use to educate the next generation of Americans. How, then, do we write a history of origins? Well, start with whenever you hear, or whenever you read, “In the beginning…” (or any of its variants, such as “When I was a kid…,” “The Founding Fathers said…” or “The author intended…”), being sure to keep your eyes and ears on the storytellers, and the moves they make, and not get carried away by their tales. It appears as though the search for the “historical Jesus” and American history are inseparably tethered to our present-day interests. What is origins today? I shall give at the outset a first, very simple answer: claims of origination are a form of speech or writing and, as such, they are acts in the present for social effect in that present situation’s imagined future. On the surface, the book appears more cultural studies than religious studies, but this is in fact the book's greatest strength: the essays force us not only to recognise the persuasiveness of origins narratives, but also to consider how intertwined religion is with the other social institutions.